Your Smartphone is Now a Smart Key. August Home products are compatible with the Logitech Harmony Elite, Harmony Ultimate Home and the Harmony Companion. The Swiveling TV Base is a table-top TV base that recreates the sleek look and feel of a mounted TV. 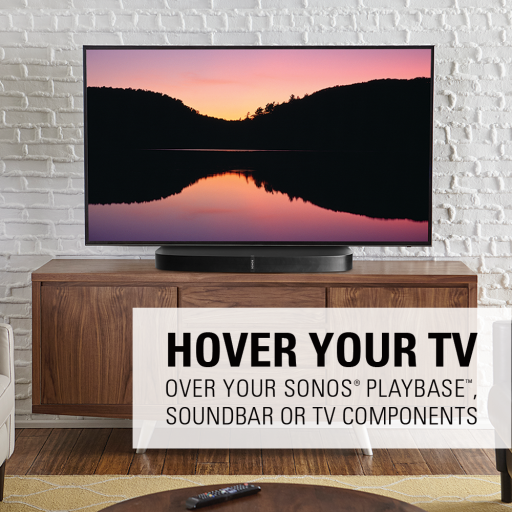 Designed to be compatible with the Sonos PLAYBASE home theater speaker, the Swiveling TV Base creates space to fit a PLAYBASE or PLAYBAR below your TV by providing up to 8 inches of height adjustment. 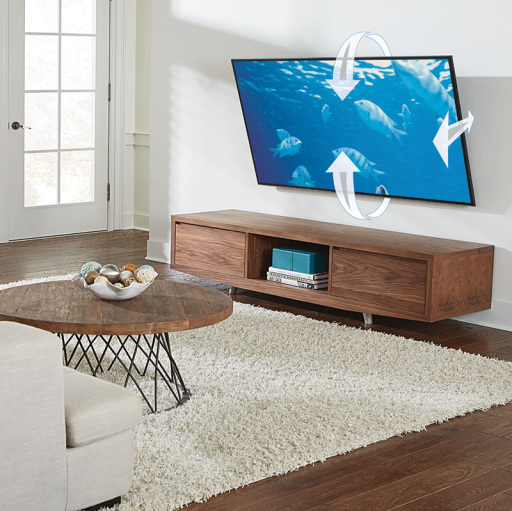 The Swiveling TV Base (WSTV1) works on all surfaces and is a substantial improvement over the stands that are traditionally included with TVs. 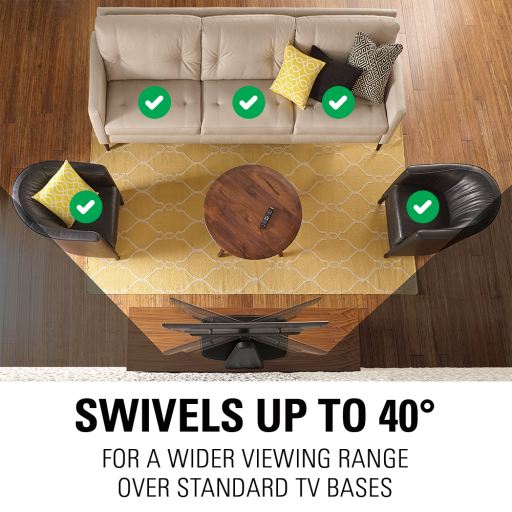 By providing 40 degrees of swivel left to right, the Swiveling TV Base dramatically improves viewing angles allowing you to point the TV to where you are seated. 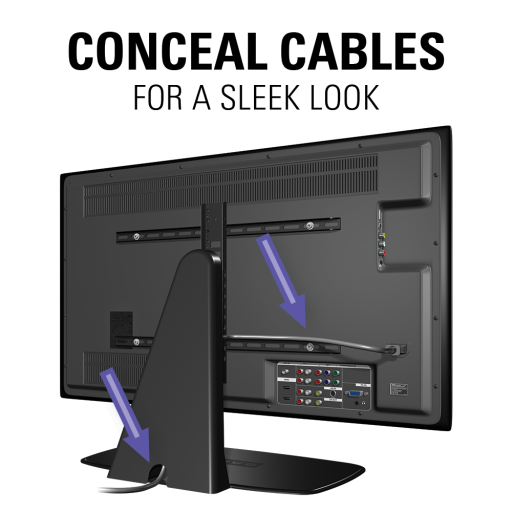 The modern, matte finish complements the look of today's flat-panel TVs, and the included cable management system conceals unsightly power and HDMI cables. 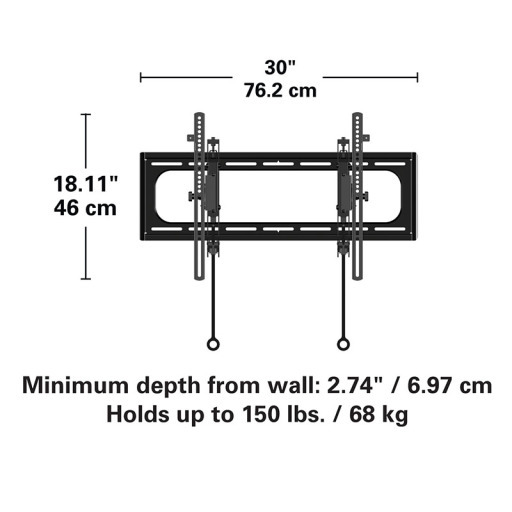 The SANUS VLT6 Advanced Tilt Premium TV Wall Mount features a revolutionary design, providing 5.7" of extension on a tilting mount. 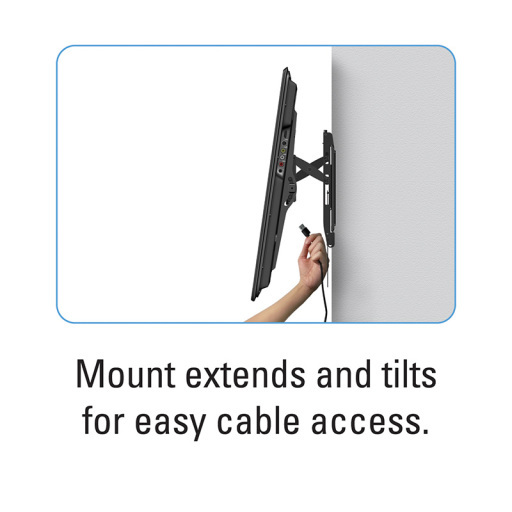 The extension allows even the largest of TVs to achieve the maximum listed tilt range*. Large TVs installed on traditional tilting mounts often hit the wall, limiting the maximum tilt that can be achieved. 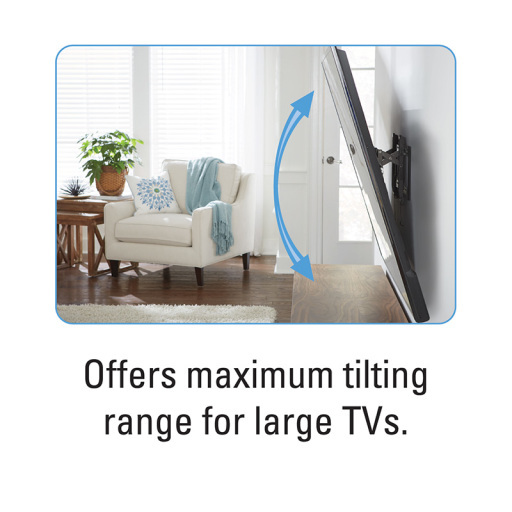 The VLT6 solves this issue by extending from the wall, offering TVs a larger tilt range. More tilt translates to better glare reduction. This makes the VLT6 the go-to tilting mount for all above-eye-level mounting locations, like over the fireplace. Additionally, because the mount can extend the TV 5.7" from the wall, cables and wires can be accessed quickly and easily while the TV is still mounted. This makes the initial hook-up and future device switches a quick and easy process. 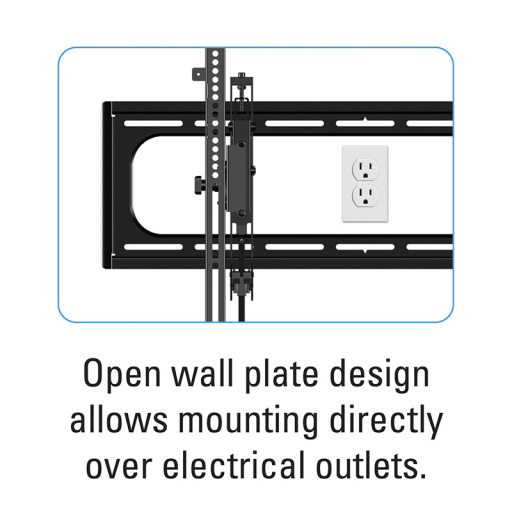 An open wall plate design allows the VLT6 can be mounted directly over electrical outlets for a super clean installation. And centering the TV, even with off-center studs, is no longer an issue due to the side-to-side shift. 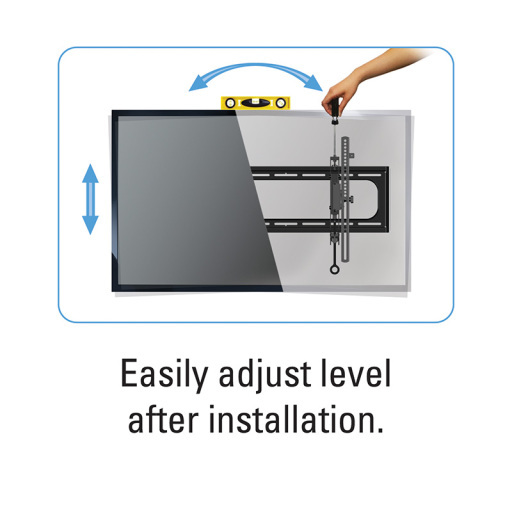 Post-installation height and level adjustments make fine-tuning quick and easy for a perfectly level TV. The ability to padlock the TV to the mount for additional safety or security means this can be used in private or public settings without worry. Compatibility with the SASP1 streaming device panel means that even streaming devices can be hidden behind the TV for the ultimate installation. 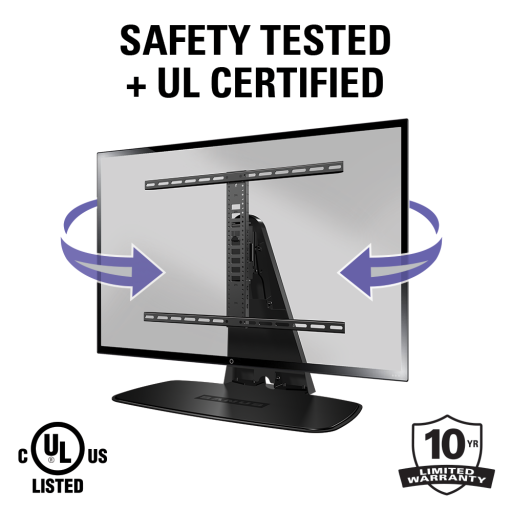 The VLT6 is safety tested, UL Certified. The MagniFi Mini delivers the big, room-filling home theater experience you'd expect from a full-size sound bar in an ultra-compact design. Compatible with most TVs, it's easy to set up and features Polk's Voice Adjust and surround sound technologies, ensuring crystal clear dialogue and immersive surround sound-plus an included wireless subwoofer for deep bass impact you can feel. Stream your favorite music through Bluetooth and Google Cast. Customize the voice levels in the sound bar however you prefer to reproduce clear, crisp dialogue, without a single word of your favorite movie, TV show or sporting event. Includes WiFi, Google Cast and Bluetooth-stream music directly from your smartphone, tablet or other compatible device. Works with any TV, cable box or satellite IR remote control�there�s no need for two remotes.